This post is part of the YummyMummyClub.ca and #LevelUpKids sponsored program. I received compensation as a thank you for my participation. This post reflects my personal opinion about the information provided by the sponsors. Mr. J is 9 (soon to be 10) and absolutely loves technology. He loves playing video games, watching you tube videos and would much rather use a computer than put pencil to paper. Whenever he has any sort of presentation to do in class, he always uses a slideshow to help enhance what he is sharing with his classmates. I am glad that he is able to embrace tech the way he has, as it is a huge part of our lives, and it will become more a part of his life as he grows. Instead of limiting his access to technology, I am trying to ensure he enjoys learning the behind the scenes aspects of this world. He loves watching videos, so I want him to learn how to create them. He loves learning new programs, and learning how to code could help him develop his own. 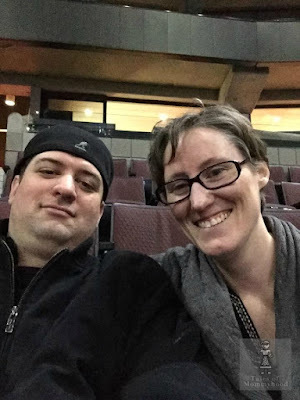 He and I recently had the chance to attend an event that was organized by #LevelUP. 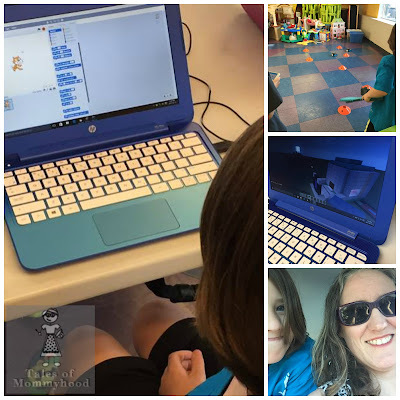 The kids had the chance to learn about and use SCRATCH to create their own hide and seek game. They were also able to play Minecraft and control robots using an iPad. It was such a fun event, and Mr. J can't wait to attend a week long summer camp put on by Level Up. There are many different camps available for kids to choose from. Mr. J is most interested in the YouTube camp offered. He really wants to create his own channel. 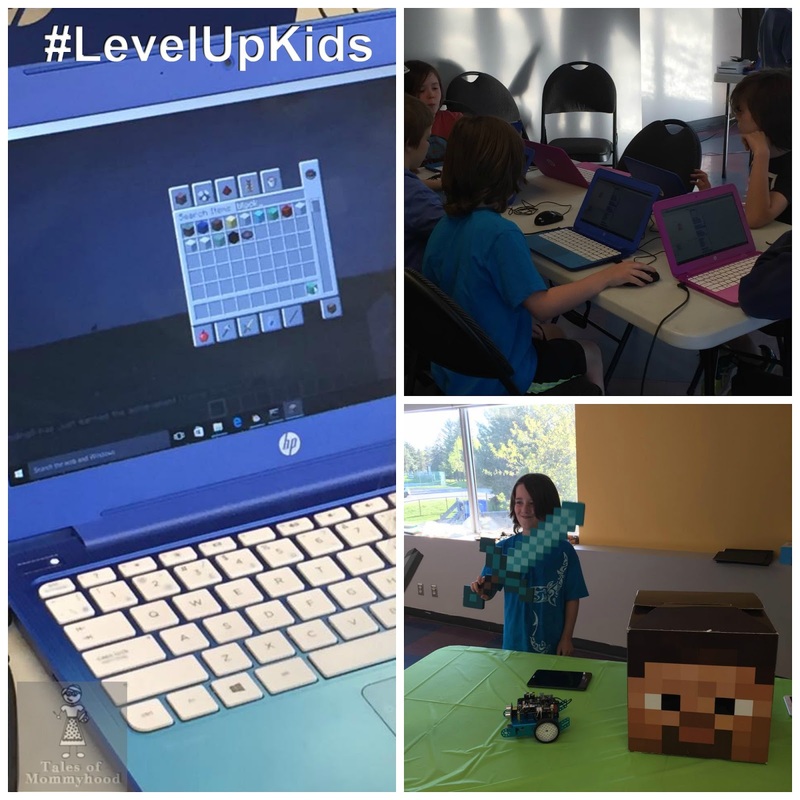 They have camps geared to Minecraft, Web Development, Game Design, Mobile Maker, You Tube, Programming, App Creator and Robotics. There is also a coding camp for girls. There is more to tech than just staring at a screen. A lot of steps are involved in the creation of the items we love to use. Level Up gives kids the opportunity to be at the ground level of this process. This program also realizes that kids need to be active. A long lunch break each day gives the kids a chance to get outside and be physically active. To keep up to date on what's new with Level Up, follow them on their social channels (Instagram, Twitter, Facebook) and check out the website. Level Up Kids wants to help your kids learn to love tech. They have very generously offered me a week of camp to giveaway to one of my readers. This is open to Canadian residents only, and must be used this summer (2017). I think Miss R would love Coding for Girls. My older guy would love the Game Design and Development with Scratch! My nephew would love the Minecraft Adventure. I think my guy would really enjoy Minecraft Hacking and Making with Minecraft Pi. My son would LOVE to attend their YouTube Camp! He is dying to learn more about it. Love that team work is a big part of this - so important to not just focus on individual skills. My guy would love any of the Minecraft ones or the You Tube one, but Host Your Own Minecraft Video Show would probably be the best fit. They would love the Minecraft Adventure. I think Coding For Girls sounds great! Robotics Camp sounds amazing too! Mine would love Adventures in Programming. The Youtube Minecraft videos for sure! My You Tube obsessed 11 year old would love to attend the You Tube camp but I would also be happy to see him in a coding camp. My son would be over the moon with a week learning about Minecraft Hacking and Making with Minecraft Pi! He eats, sleeps & breathes gaming! Thanks for the chance! I think she would choose the YouTube camp but would need to discuss it with her. What a great experience I think it would be for a child! My oldest would love either YouTube Camp or Robotics Camp! My son would love the game design or the YouTube camps! I think Robotics or web development for my 14 yr Old. YouTube channel is the one he would most be interested in. My son would love the YouTube camp! My sons would love a chance to learn some of these skills. What a great opportunity. Robotics or Mobile Game Maker seem to fit their interests. My daughter would have a blast in any of these featured camps (I'll be honest, I think it sounds fun too! )- I think the best start for her would be the Game Design and Development camp. My son would live the game design. I'm so pleased it's offered in London. There are so many to choose from that my kids would love. My 9 year old would love the coding classes but they start at age 10. So I'd say he'd pick -> Host Your Own Minecraft Video Show. I think my girls would love YouTube or Coding Camp. My granddaughter would love Coding Girls. My grandson would like to try the Robotics Camp. My girls would love to create their own YouTube channels!